A social enterprise 'Pure Living' was born from one saying “If you can’t do great things, do small things in a great way” by Napoleon Hill. PURE stands for Products Up cycled Recycled and Economized. 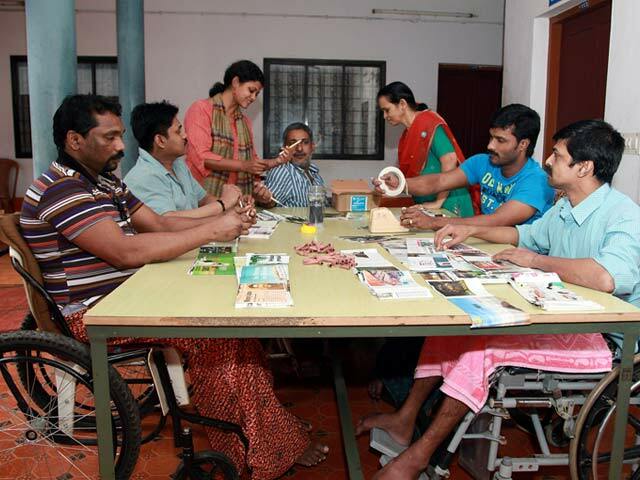 Lakshmi Menon is a designer by profession & a serial social entrepreneur. Her design works range from Interior, Fashion, Jewellery and products to Events & Venues. She has founded ‘Pure Living’ company which specializes in socially beneficial businesses. Pure Living has distributed 'Entree' pens, which were labelled ‘With Love. 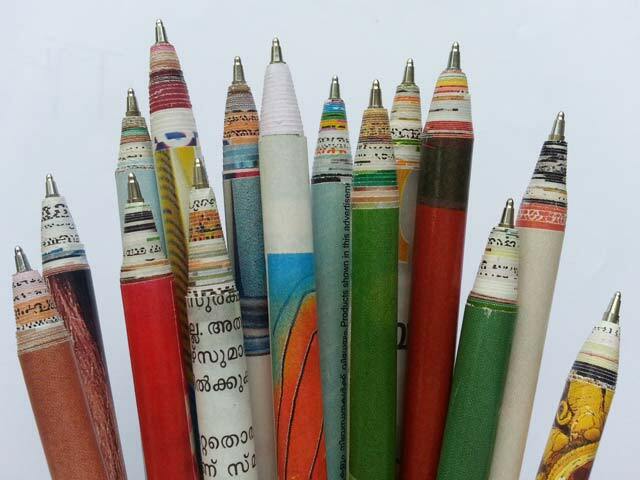 Malayalam alphabets are printed on the surface of these pens to propagate the language. 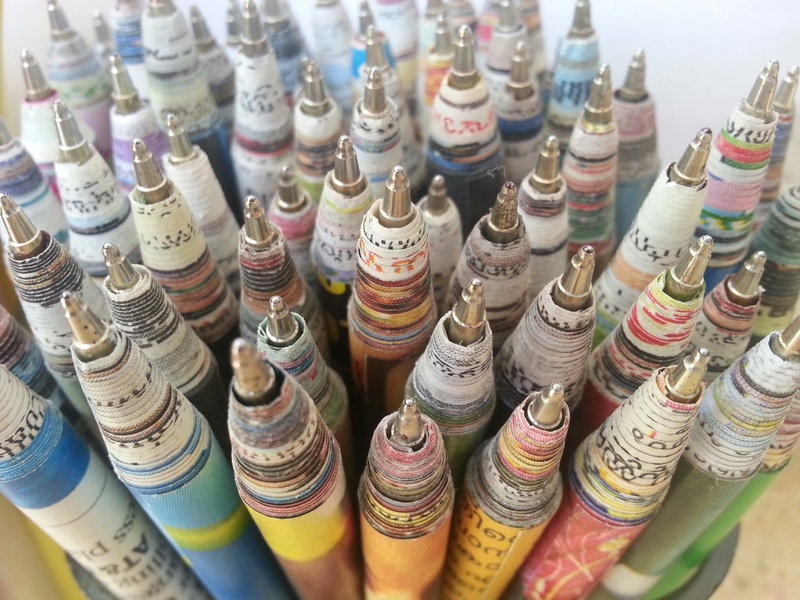 Entree pens are handmade by women and the differently abled. It’s completely degradable except the refill. 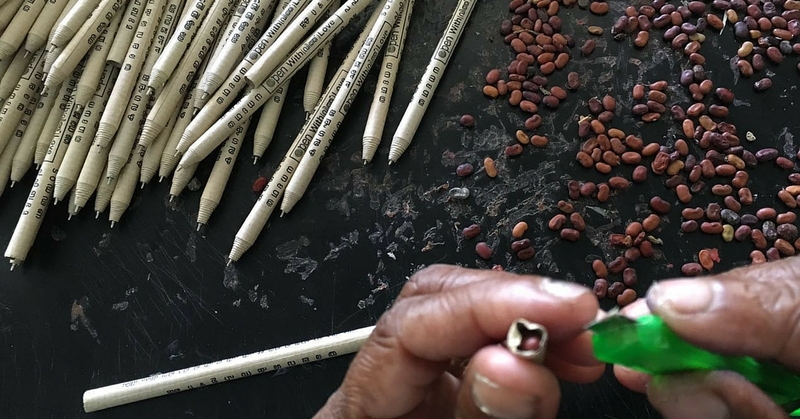 At the bottom of each pen, there is a seed of a tree to convert the used pen into a tree! Lakshmi calls the pens ‘Entree’ because they symbolise an entry by the user into eco-friendly living, reports The Better India. 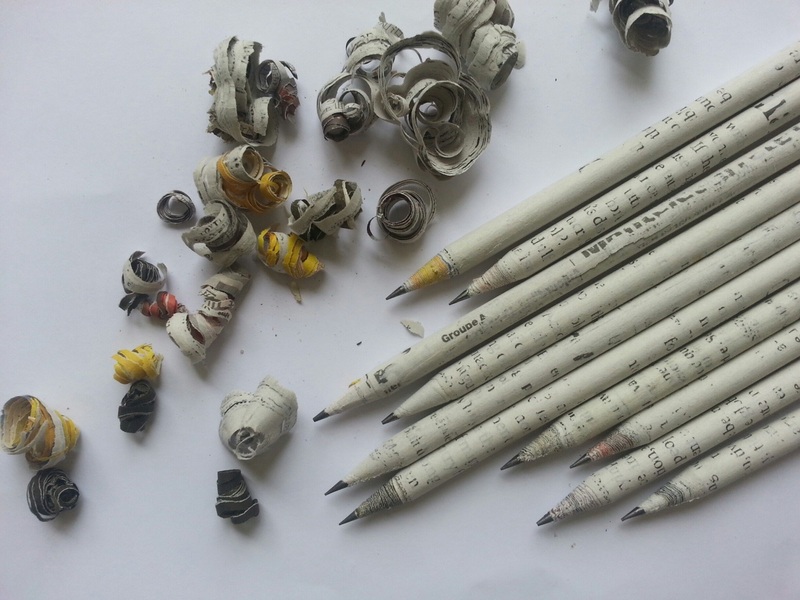 She sells each pen for Rs 12, while competing with plastic ballpoints that sell for Rs 5 each. But for customers who do not mind spending some more for a good cause, she makes metal bodied refills. Recently actor Mammootty inaugurated 'Entree', a green campaign of 'Pure Living', at Village International School in Thodupuzha on World Environment Day. 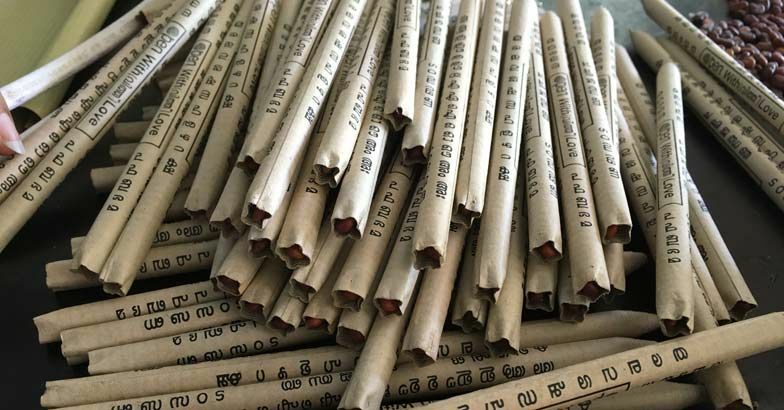 One lakh paper pens will be distributed as part of the green campaign this year by the organization, as reported by TOI. Lakshmi Menon, chief facilitator of the organisation said, "We will give the pens to 500 students. 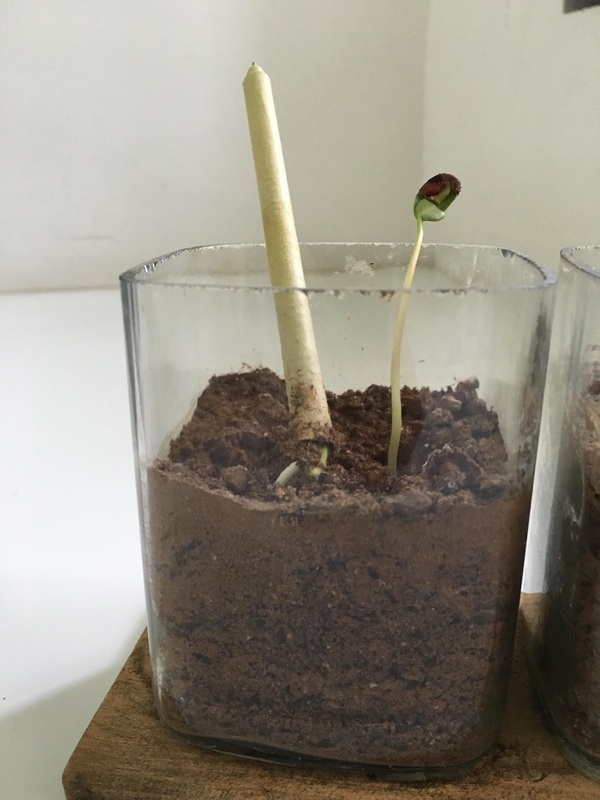 They can use and dispose it without damaging the environment and letting the seed grow." 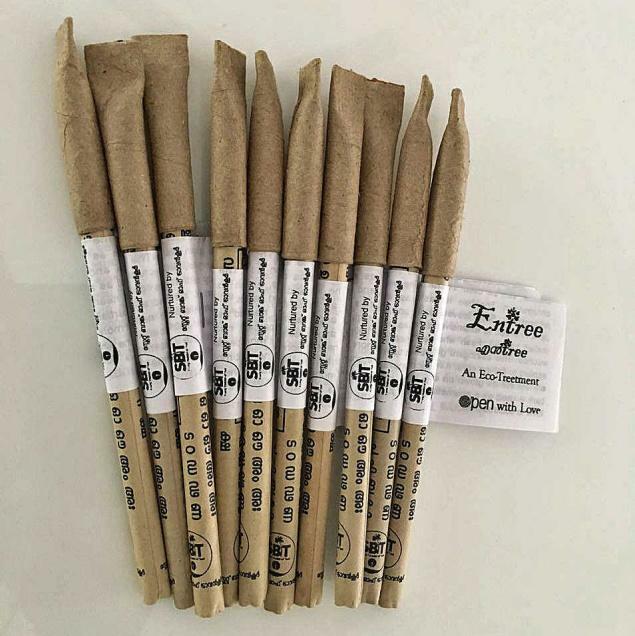 Paper pen is amazing eco friendly alternative to plastic ballpoint pens, it addresses plastic waste as well as contains seeds that can grow into trees. Rolapena – a pen made out of paper! A small eco-conscious venture; focuses on reducing the plastic in the pen. She has also invented a pen rolling machine (patent pending) and set up a pen rolling unit for women in villages of Varanasi as a joint venture with Reliance and International Institute of Waste Management (IIWM). Her other business venture ‘Ammoommathiri’ for the elderly in poor old age homes. ‘Wicksdom’ is an initiative to make wicks for oil lamps out of cotton yarn. The loving hands behind this initiative belongs to the elders in poor homes. They find relief in this activity to use their time effectively and also to have an additional source of income. For easy availability, Pure Living has facilitated distribution of these pens at convenient stores in schools, bookstores, stationary shops, boutiques and other similar outlets.